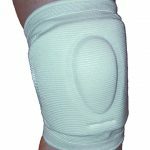 Barlow Knee Support • Luxis International, Inc.
Are your knee problems due to arthritis, an accident, torn cartilage, a bad fall, or the ravages of age? Whatever the reason, we have the solution … the Barlow® Knee Support. The support that gives you real support. The one support that really works! The Barlow® Power Knee Support is lightweight, unbelievably comfortable and provides your knee with maximum support. There is less shock to your knee, more support and a greater range of motion. The Barlow Power Knee Support is all soft – there is no metal. The remarkable material insulates, warms and soothes your knees. You’ll bend and move pain free! Try the Barlow Power Knee Support for 30 days. If you’re not completely satisfied, just return it for a full refund of your purchase price minus shipping and handling. FOR CORRECT SIZE: While standing, measure around your leg about one inch above the knee cap. Works great for sports! Actually we ordered these products (Barlow Knee Support and Barlow Ankle Support) for our grandson who plays football. Austin says that they both work great. He likes the padding in the knee brace and the wrap stabilizes his ankles. Austin also plays hockey and said he will wear both when he plays. I can walk and work without pain. I've used the Barlow support for 10 years. It has protected me from further damage. I can walk and work without pain or difficulty. That's why I ordered more. My orthopedic surgeon says it's a good brace. The Barlow Power Knee Support has greatly relieved the pain and given support after my knee surgery. I have been able to resume my daily walks. My orthopedic surgeon complimented the brace as a good one and asked where I got it. It stays in place giving relief and comfort. From the minute I put on the Barlow Power Knee Support, I felt relief and comfort. Not only did it stay in place during brisk walks, it responded in kind during more vigorous exercises like jogging and basketball. All day comfort! What do I like best? The support that the Barlow offers, the comfort I get for the 8-12 hours that I work on my feet. (I am a nurse.) Thank you for finally allowing me to obtain something I feel wonderful with. Only Barlow has helped. My fiancé is a butcher and works in what he calls an "antique" meat department. Old, hard concrete floors have taken a toll on his poor knees. These supports are the only thing that has helped. Keeps knee aligned. Feels great on my kneecap. Keeps knee aligned. Much less pain after walking and getting up and down all day. I own 5 knee braces and Barlow is the only one that really works. Helps keep my knees straight. I have trouble with both of my knees and the Barlow Knee Support really helps keeping my knees straight. I would and have recommended the Barlow Knee Support to some of my friends. My Barlow Power Knee Support helped the day I put it on and I wouldn't be without it. It helped support my knee and stabilized the aching pain of arthritis. I can hardly walk without them. It helps me so much. The pain is not nearly as bad. I can hardly walk without them or stand. With them I can do both for a lot longer time. I feel more secure with it on. The Barlow Power Knee Support gives me a feeling of security as my knee seems to give away at times. I feel more secure with it on. It is also very comfortable. Within the hour after I put on my Barlow Knee Support the pain went away. Thank you very much for such a wonderful product. Thanks to Barlow I'm still playing tennis! I have very little cartilage left in either knee. Two years ago I tried your Barlow Knee Support which is by far the best on the market. I still play competitive tennis. An excellent support for a seriously arthritic knee. Especially helpful on days when I have to walk a lot. I am now able to walk in the woods and in the hills which is uneven ground with 90% less pain. Good firm support while exercising and playing racquetball. great feeling of support It gave me a great feeling of support. I was able to walk around and not have any pain. It does just what it's supposed to do. provides warmth, stability and confidence Best I've ever used. Barlow provides warmth, stability and confidence. I bike 12-14 miles daily with no problems. The Barlow Knee Support did the trick. My pain while walking has virtually disappeared. Thank you Luxis. I have tried other knee supports. This is the most comfortable with the greatest support without irritation to my skin. I am due for double knee replacement but can't do it yet. After one day, I was able to walk and use the stairs without pain. First time in years. Feels like a miracle! It helped me right away. I have been suffering with knee pain for a long time. I can wear the Barlow all day and I don't even know it's there. Feels like a miracle. Comfortable fit. I feel more secure about my activities due to the support it provides. The Barlow Knee Support gives firm and secure support where I need it. The Barlow is the best of all. I had severe invasive knee surgery 30 years ago. I must have purchased 10-12 knee braces to eliminate the subsequent pain since then. The Barlow is the best of all. The Barlow Knee Support keeps my knee extremely stable during golf. We're keeping these! The product is just as you described in the catalog. My wife has one, I have one and we are both satisfied. We have tried other products and threw them away. These we'll keep! Barlow Knee Support stabilizes my knees. It stabilizes my knees and keeps them from sliding sideways. They certainly help when walking in the uneven woods and on hard blacktop. It gives great support to my knees in yard work and on rough terrain. Your Barlow Knee Support is great. I had my knees replaced in 1995, and at times I have a lot of pain. Your knee support is the best I have used. Thank you. It revolutionized my life. I had constant pain, now I can walk and stay on my feet longer. It is truly unbelievable the difference it has made, I will never be without them again. Support is provided exactly where needed. It does the job, I can walk with no pain now! Thank you! I have a very bad knee and the knee support helps relieve the pain. The relief was immediate I can ride horses again without loading up on pain meds. The relief was immediate. I can walk and bend by knees I love the Barlow Knee Supports. They are the BEST. I can walk, bend and put my knees on the ground again. I love them. it's a gift from heaven Just be brave, try one and see. My knee feels great. I will order a second one. I swear it's a gift from heaven as far as I'm concerned. definitely the best I've tried I have depended on knee supports for over 30 years to keep me on my feet and earning a living. These are definitely the best I've tried. I now have hope of remaining productive for the years ahead. I love the padding on the knee! I love the snug fit, which I've never been able to find in any other brace. I love the padding on the knee – best support I've ever had! I wear it all the time! Thank you. They eased my pain greatly! I tried your supports when I shopped this week and found they eased my pain greatly! My knee hyperextends and these supports helped to keep that from happening. I felt safer with these supports! It relieved the pain the very first day it was used. immediate relief from knee pain! I've tried many knee bandages to no avail. So, I tried your knee support and got immediate relief from my knee pain! Thank you so much. They sure are well built. it stopped the pain immediately This is the best knee support I have ever used. What surprised me is it stopped the pain immediately. The fit and feel is fantastic! I received my Barlow Knee Support and tried it on – WOW! The comfort is such that I have to remind myself that it is still on. The fit and feel is fantastic! Why did I wait so long? more secure on my feet I feel more secure on my feet. relieves knee pain Helps relieve my knee pain when I walk or run. I was able to exercise again. I found the knee support stayed put and helped support my knee at the sides where it was hurting. I was able to begin my exercise program again without pain. Thanks. received relief within 30 minutes I received very good relief from the brace within 30 minutes after using it. It's great! better than what I got from a doctor I have arthritis in my left knee and your brace does more good than one I got from a doctor that cost $1,700. I have avoided surgery. I got my first pair about 10 years ago and have worn them daily ever since. I have avoided surgery and get along well wearing your product, including traveling. Thank you! Best I have found in years. The padding at the knee cap is great while kneeling. The lateral support while standing and walking is very supportive. Best I have found in years. keeps my knees from getting stiff The support and comfort while doing yard work and chores is great. The warmth it generates keeps my knee from getting stiff in colder weather and virtually eliminates cold weather pain. best relief ever! I have had severe knee pain for three years. I tried all kinds of pain relievers. This is the best relief I have had ever! solved my golfing knee pain I play one or two rounds of golf a week. I play right handed and by the end of a round my left knee was hurting quite a bit. I wear the Power Knee Support and have no pain at the end of eighteen holes. walk normal again I can walk normal again thanks to Barlow. much lighter and more support The Barlow Knee Supports are much lighter in weight than the others I've used. There is much more support for my knees. so comfortable and it really works It is so comfortable but yet it really works. Having it on also gives you warmth to the knees and it help so much to relieve the pain which gives me more mobility. I had trouble with my knee twisting I had trouble with my knee "twisting" on me at times. Also very painful when I bent down and raised back up. Your product has cured about 90% of this. I'm so glad I saw your ad. Thank you. I can walk up and down stairs again. I have been looking for something for my knee. I have tried all kinds of products and all have failed me. When I tried your Barlow Knee Support I was amazed as to how much more I can do with that support. I thank you for having such a wonderful product, it works excellent for me. I work long hours and I need the support that this knee support gives me. I can walk up and down stairs now which is something I could not do before I got this knee support. Great invention! From day one of trial, you could tell how excellent the product is. I just can't believe it, but it's true. Great invention! I've got myself back again – being able to practice my beloved martial arts with peace of mind. I have more stability and support. I feel safer when I walk. I have more stability and support. I feel more confident and comfortable. they enable me to walk better I've played sports most of my life and finally the "arthritis" caught up with me. 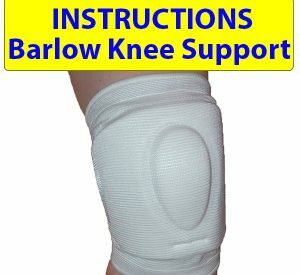 I'm going on 85 years old and have been using Barlow Knee Supports for a number of years. They are a great help to keep my knees stable to enable me to walk better. walk with comfort I am able to walk with more comfort. They make my knees less painful. No pain. My knee felt better right away. It made all the difference in the world. No pain. I couldn't get by without them. On November 1st, I had a complete knee replacement. I have been in pain every day since that date. Because I am a workaholic, I work 7 days a week on my farm. I have tried many products. Yours are the best. I have been using your Barlow Knee Supports for over a year now. I use them every day. I couldn't get by without them. I can walk without limping. Instant relief the moment I put on the Barlow Power Knee Support. I can now walk normally without limping. Thank you. improved my walking comfort The Barlow Knee Supports have vastly improved my walking comfort. I could not get around without them. The Barlow Knee Support is wonderful! I wear one on each knee every day. I could not get around without them. My pain is gone. I have searched for several years for a knee brace to relieve my pain. I tried the Barlow Power Knee Support and my search is over! My pain is gone. Thanks so much. It was like a miracle! Pain is gone. It was like magic. I have a knee injury and the doctor told me it would be about 2 months to recover. I have been in lots of pain and unable to go for walks. I was at a bridal shower, came home and saw the new brace had come in the mail so I put it on and I must say; it was like a miracle! Pain is gone and I can walk! it felt like I had a new knee The first day I wore the Barlow Knee Support I felt like I had a new knee. I could walk without a cane just like I used to long ago. Thank you so very much. easier to get up and down It helps the pain. Makes it easier to get up and down with them on. I like them so much I am ordering 2 more Barlow Power Knee Supports. Try them. You'll love them! My husband gardens and stopped until he got the Barlow Knee Supports. Bless the coach! "Try 'em, you'll love 'em"
no more knee pain After wearing the Barlow Knee Support for 4 months I have had no more knee pain. I wouldn't be without them. pain disappeared immediately and stayed gone When I first put on the knee support the pain disappeared immediately. I was having problems sleeping because of pain. 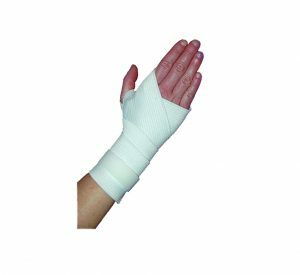 After wearing the support 8-10 hours each day, I did not have any more night pain. From what I have experienced, not only does wearing the Barlow Knee Support kill the pain, it has lasting after-effects when not wearing them. Best money I every spent for a device that does not involve pain killing drugs or other remedies which have no lasting effects. mobility improved Ordered Barlow Power Knee Supports for both knees and from the time of wearing felt pain much reduced and mobility has been greatly improved. strengthens the knee joint The Barlow Knee Support holds my worn out knee caps in place and strengthens the knee joint so I can do my days work. it has helped me more than any other It has helped me more than any I have bought before. I can walk better and my knee doesn't hurt me. I am glad I got it. keeps my knee in alignment The Barlow Knee Support keeps my knee in alignment. Very strong and flexible. Easy to take care of, washable and easy on and off. better than any other support Great support and warmth. The Barlow Knee Support is better than any other support of which there are many that I have tried. Very well made. it stays in place through hours of wear The Barlow Knee Support not only provides the best comfort and support I have found in this type of product but also stays in place through many hours of wear, even after months of use. wear under trouser with normal appearance Provides support in a simply non-cumbersome way. I can wear with shorts or under trousers with normal appearance. Also more comfortable than a brace. support without bulkiness It provides the support without the bulkiness for my knee. The Barlow Knee Support is designed for comfort as well as great support. pain is almost non-existent My calf was very swollen for several months and the pain when walking was terrible. Leg is now normal size, relieved within a few days plus pain is almost non-existent. Great product! relieves the pain The Barlow Power Knee Support relieves the pain and I don't even know I'm wearing it. stabilizes and reduces pain It really works. It stabilizes my walking and reduces the pain in my badly worn knee. I can wear much longer without pain or irritation The three other knee supports I tried caused irritation to my skin and I could only wear them for one hour. The Barlow from your company, I can wear for 6 to 8 hours without pain or irritation. notices a big difference My husband has suffered with his knees for at least a year. After the 2nd day of wearing your Barlow Knee Support he could tell a big difference. He has worn them every day since. Thank you so much! better and firmer support The Barlow Knee Support provides much better, much firmer support than any product I've been able to get in drug stores. very comfortable and soft Very comfortable and so soft. You think you are not wearing it. 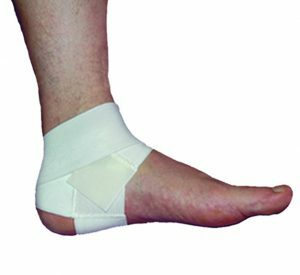 flexible and comfortable to wear Since I have injured both knees and have had trouble getting up and down, tying shoes etc, I wear my 2 Barlow Knee Supports and have no lingering problems with my knees. The Barlows have been a lifesaver for me. 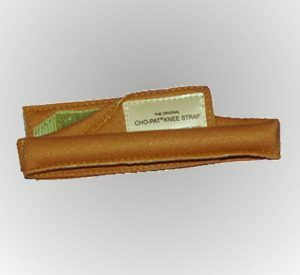 They are flexible and comfortable to wear. I depend on them for my part time job as a door greater. This product has been the best I have ever used. I was able to work and hike. The day I received my Barlow Knee Support I was on my way to Idaho to work on my cabin. I was able to work and hike around in the mountains. I have not been able to do that for a long time. It was awesome. Wow! After suffering for many years with painful osteoarthritis in my right knee I received a Barlow Power Knee Support. It was awesome. Instantaneous relief. Wow! Thank you so much! takes away the pain It is comfortable and immediately takes away the pain. I feel like I can run! grateful for your product The Barlow Knee Support did what it was designed for. I have put my other knee braces away. I am grateful for your product. I can move better I put the Barlow Knee Support on every morning before going to work. I wear it an average of 8 hours per day. The knee support is very comfortable and I don't have the pain I had before and I can move better. Thanks for the Barlow Knee Support. the only support that relieved the pain I have tried every knee support that I could find. 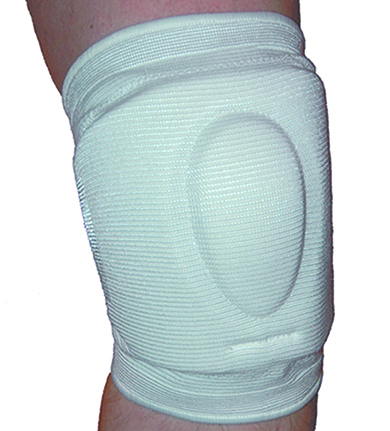 The Barlow Power Knee Support is the only support that relieved the knee pain. aids in relieving pain I have pain in both knees from shrapnel wounds since 1967 when I was wounded in Vietnam. The support aids me in relieving the pain. Instant relief! Unbelievable support! Both of my knees are in bad shape, with constant pain and lost mobility. Instant relief is what I felt when I put on the Barlow Power Knees. I can walk normally again. Unbelievable support! they are the best I really enjoy the results that I received when using the Barlow Knee Supports. They are the BEST! I can walk like I did 33 years ago Since about a year ago, it has been very difficult to walk or stand without holding on to something. I have had shots in both knees, but nothing has lasted more than two months. Lately I have had to use a cane or walker and needed assistance either by holding on to something or having someone help me to stand up. The pain has been overwhelming. My blood pressure has been so high, no pain medication has done anything to ease the suffering. I have been irritable, and really a big grouch. I tried many knee braces and etc., but nothing worked ... then I received your two braces. I started wearing them the next day. For a few days it felt like it was another waste of money. But finally about one week later, what a difference. Hardly any pain, no pain medication is needed. I can walk like I did about 33 years ago, get off a chair or sofa without any assistance, and cook and do dishes without sitting on a stool. You hardly know you are wearing them ... my attitude is different and I am happier, my blood pressure has dropped to normal. It is wonderful. happy with my Barlow Knee Support I am so happy with my Barlow Knee Support. It surely helped me so I am ordering one for my other knee. Thank you. Barlow Knee Support saved my day Your Barlow Knee Support saved my day. For the first time my knees get the proper support – no pain! I thank you so very much. knee pads are excellent Your knee pads are excellent. I use them daily. I am elated to have a new pair of Barlows Thank you so much for your prompt attention to my order. I am elated to have a new pair of Barlow Knee Supports. It is a pleasure to do business with Luxis. lives up to everything you say I have been wearing one of these knee supports for over 6 months and it more than lives up to everything that you say about it. It really works! Your knee support is the best of all supports I've tried. I don't need the 30 day risk free offer. It really works! He is able to walk without pain! I ordered the knee support for my husband. It has proven to be a miracle for him! He is able to walk without pain! Problem is that I only ordered one. At this time I want to order another one. they helped me a great deal I have ordered these knee supports before and they helped me a great deal. Thank you! I recommend them to everyone I know. They help me when I have to bend down and whenever I have to walk a lot. I have used this product for years I have rheumatoid arthritis and I also have used this product for years. I do a lot of hiking and hunting and have to have them. They help a lot.